As mobile TV, IMO TV500 be calculated quite thin. Design mimics Nokia E51. With the main screen size 2.2 inch. Wide witness to broadcast news. Leisure is also in support with the presence kick stand in the back of the body. In addition there is also the ability autorotate gravity sensors based on screen, while watching TV and enjoy the multimedia features. 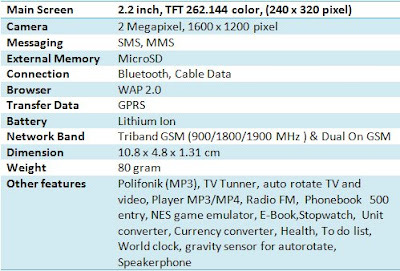 Based on the initial specification, the phone network with GSM Dual On this also has two cameras. The front of the VGA, while the back is a megapixel. 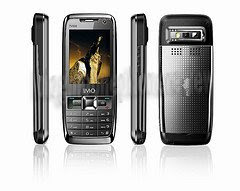 For entertainment, the phone has been set up MP3/MP4 player, FM radio, Bluetooth and an additional memory card slot.